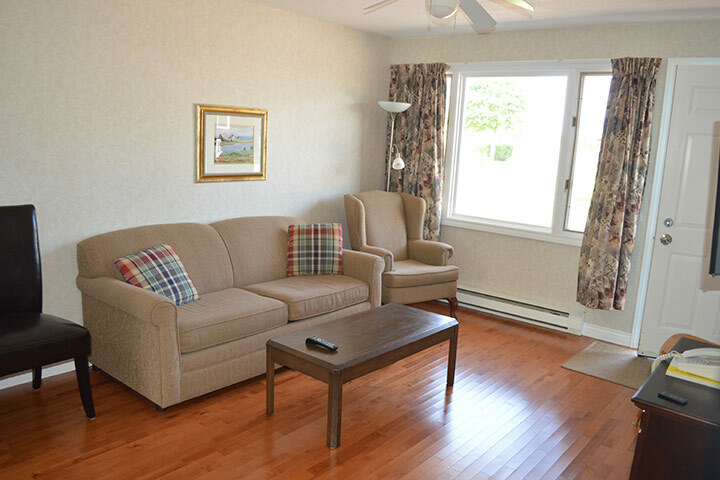 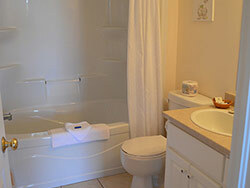 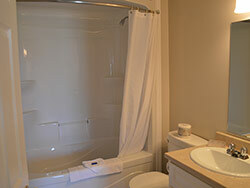 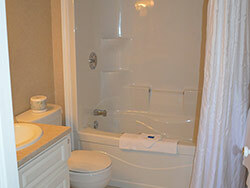 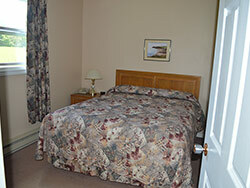 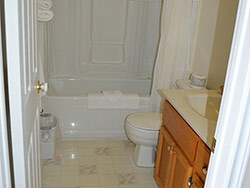 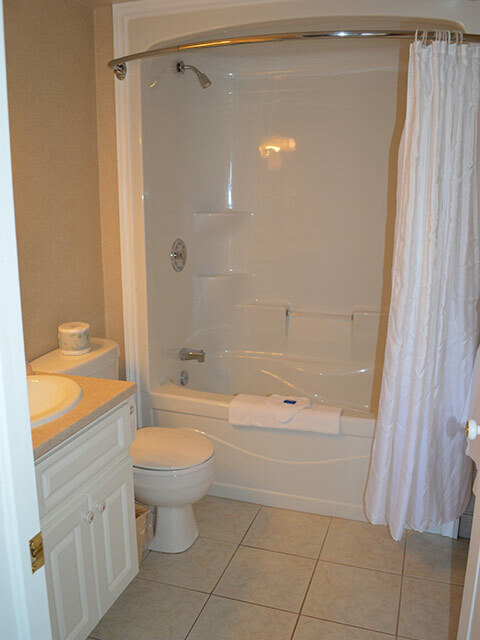 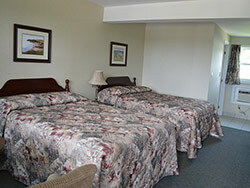 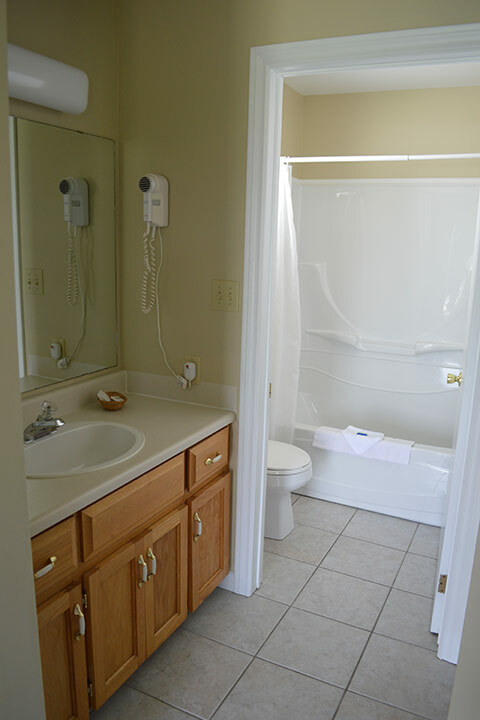 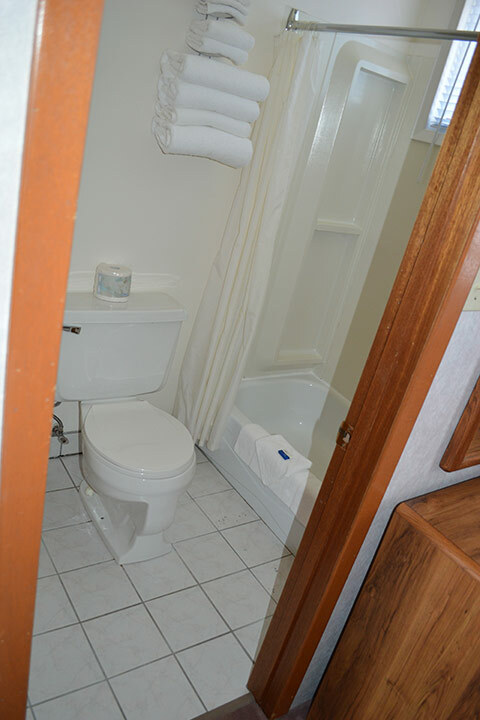 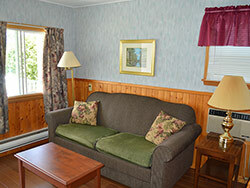 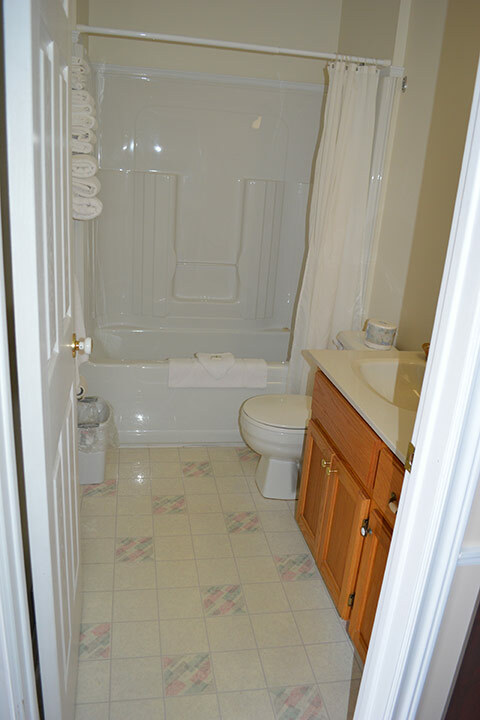 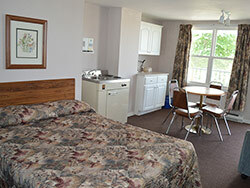 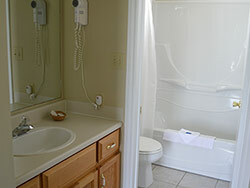 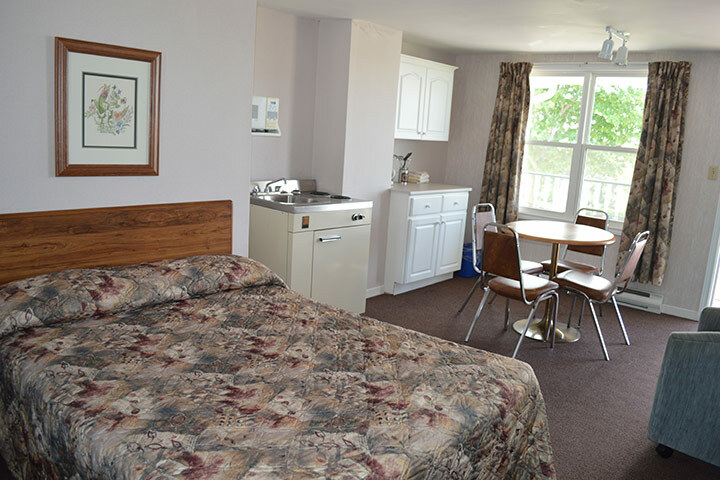 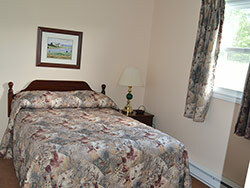 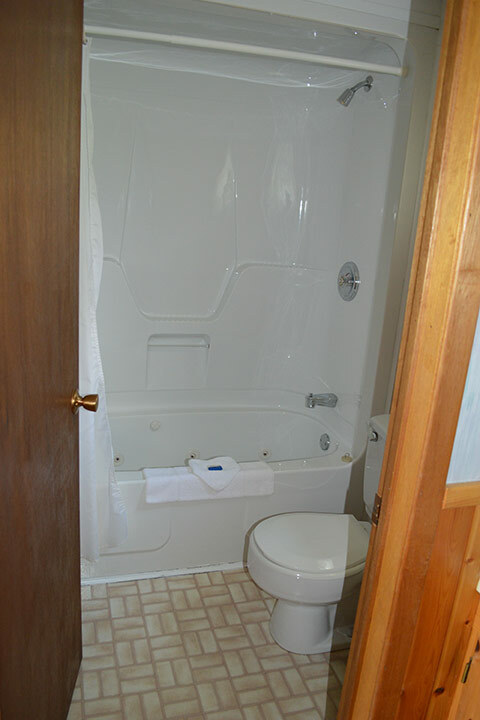 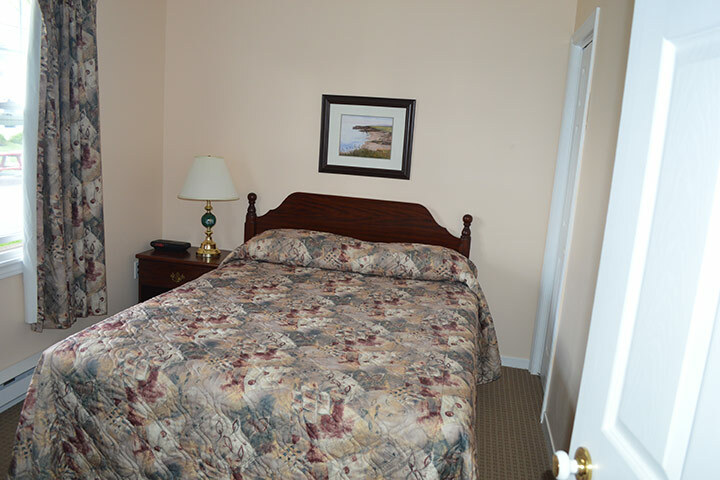 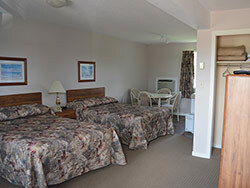 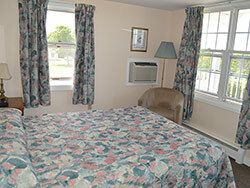 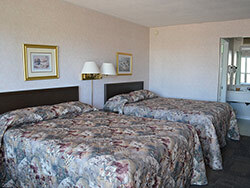 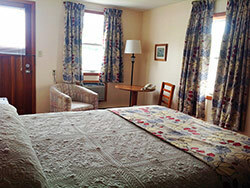 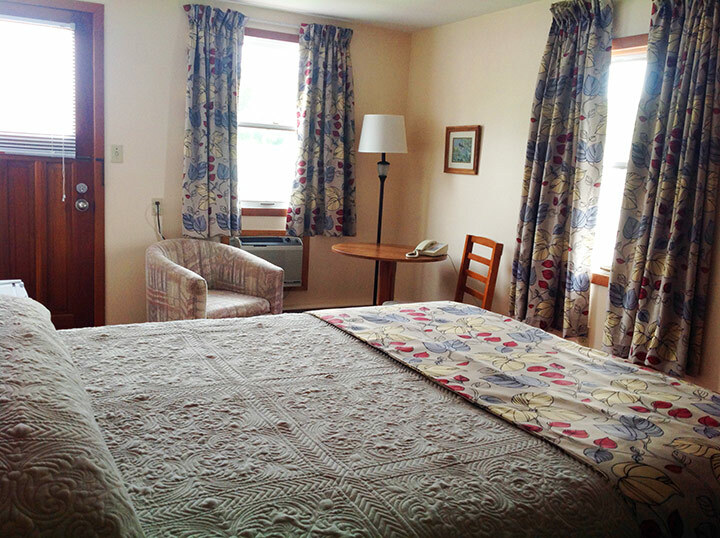 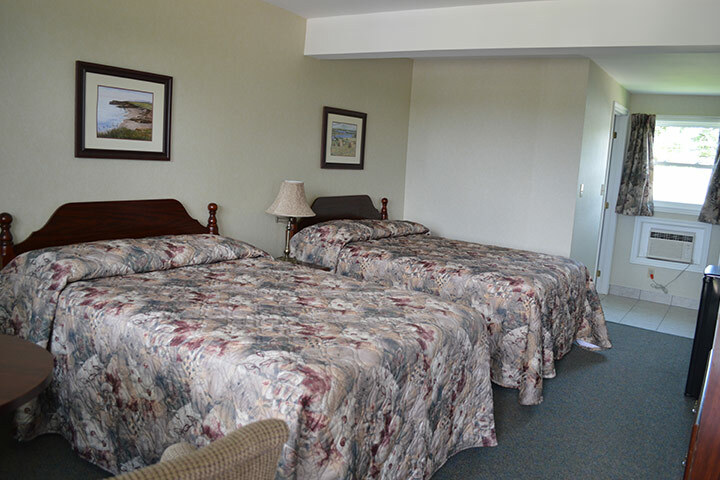 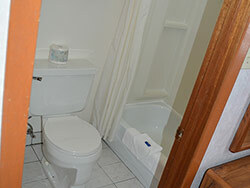 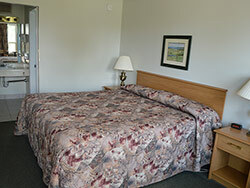 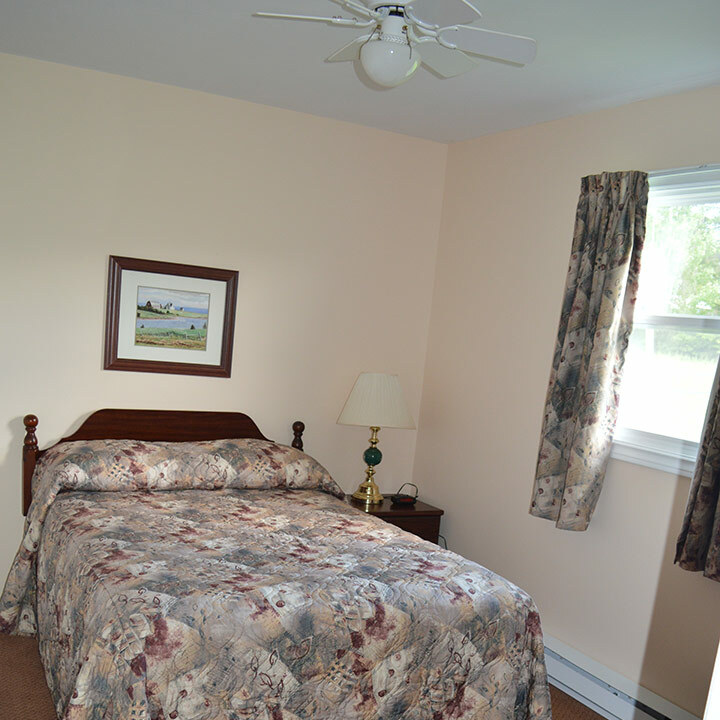 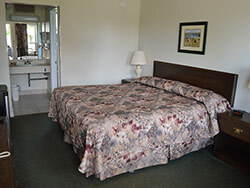 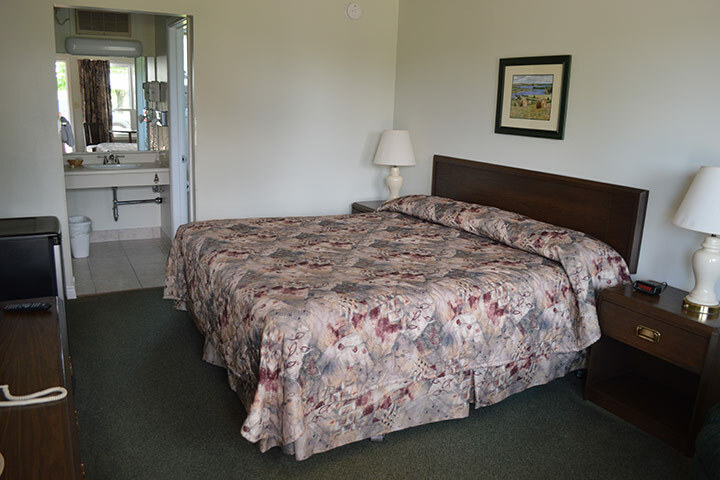 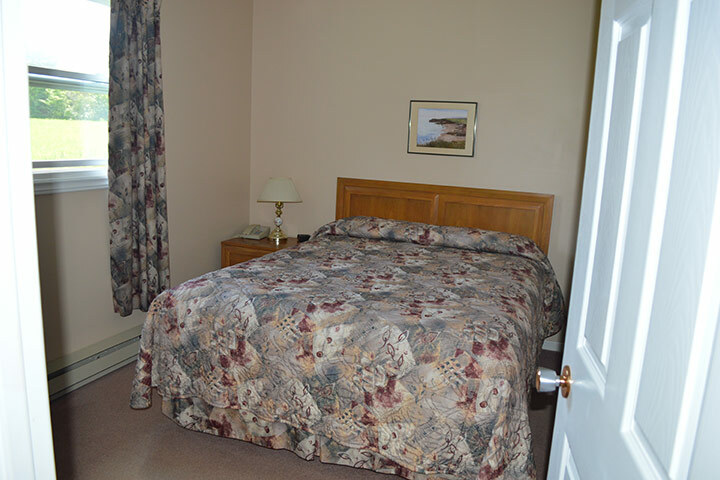 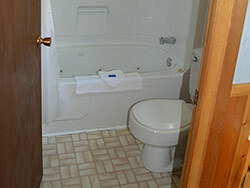 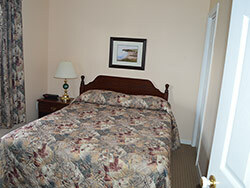 At Anne Shirley Motel & Cottages, you’ll find a variety of room options. 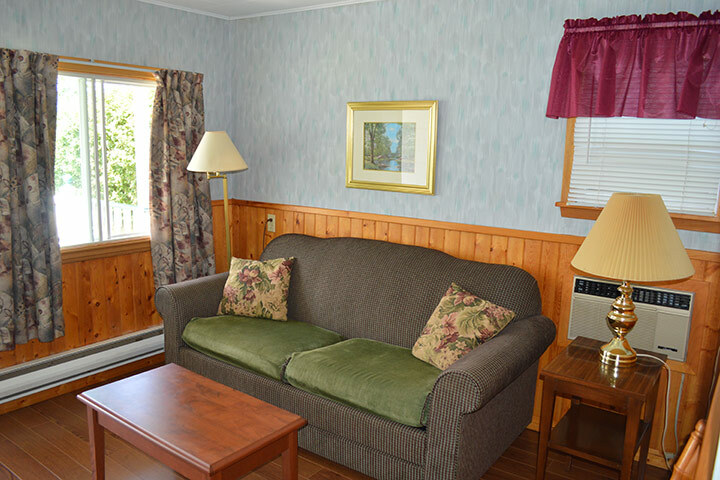 Each are clean, comfortable accommodations that will suit your needs whether you’re looking for a single overnight unit for a solo traveler or a fully equipped 2-bedroom housekeeping cottage for an extended family stay. 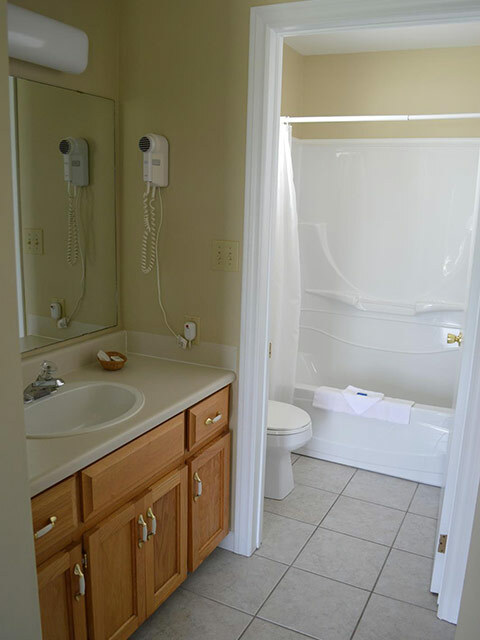 Free WiFi in all units. 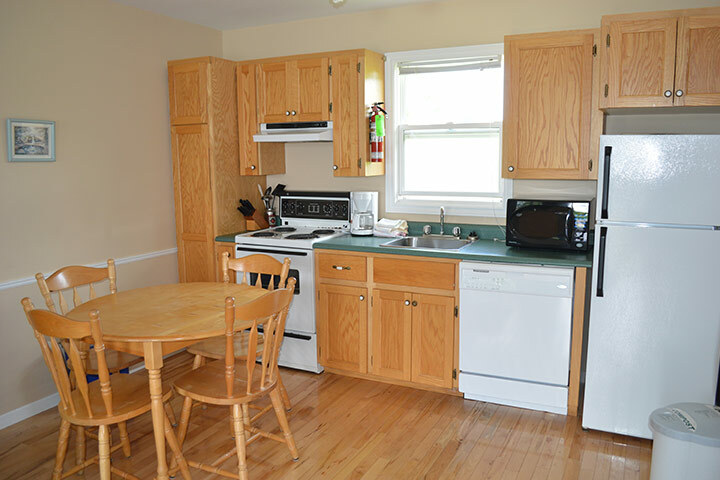 This fully equipped one-bedroom cottage features a queen bed, living room with a hide-a-bed, full kitchen with dishwasher, four-piece bath with whirlpool tub, a fireplace, and air-conditioning. 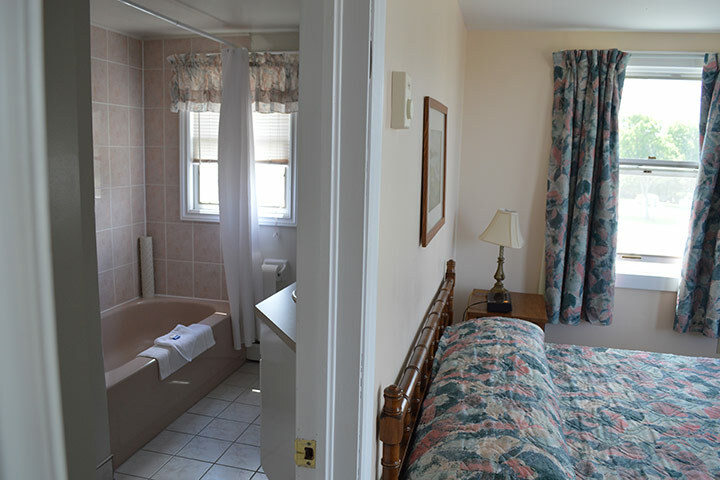 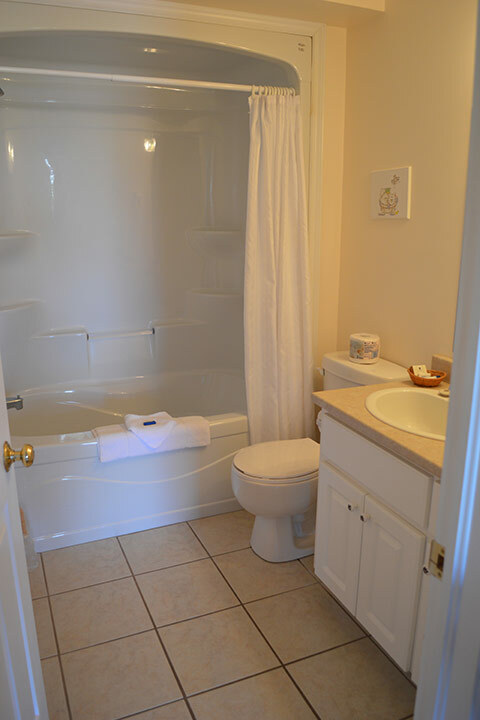 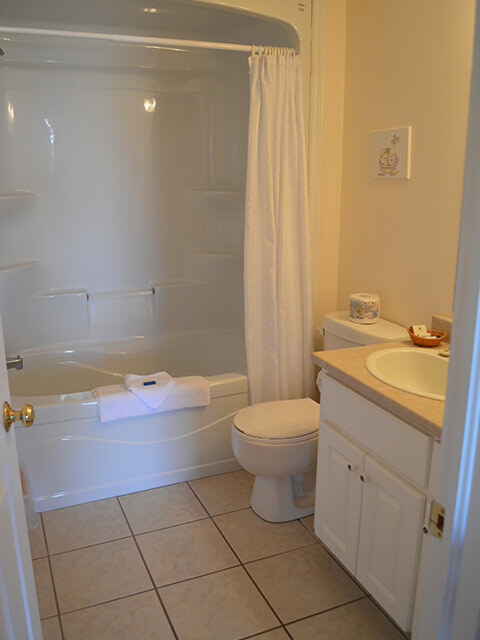 Two bedrooms with queen beds are featured in this fully equipped two-bedroom cottage with living room, full kitchen with dishwasher, four-piece bath with whirlpool tub, and air-conditioning. 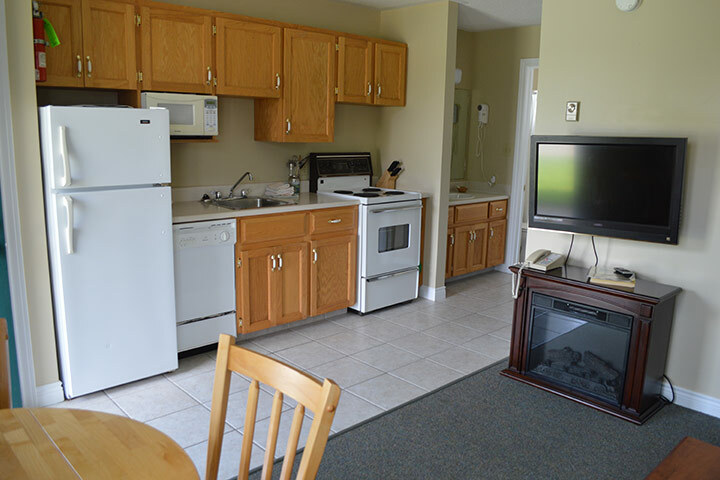 1 Bedroom Motel Apartment: One bedroom apartments feature one queen bed or King bed in the bedroom, a living room with a hide-a-bed, a fully equipped kitchen including dishwasher, 4-piece bath, cable TV. 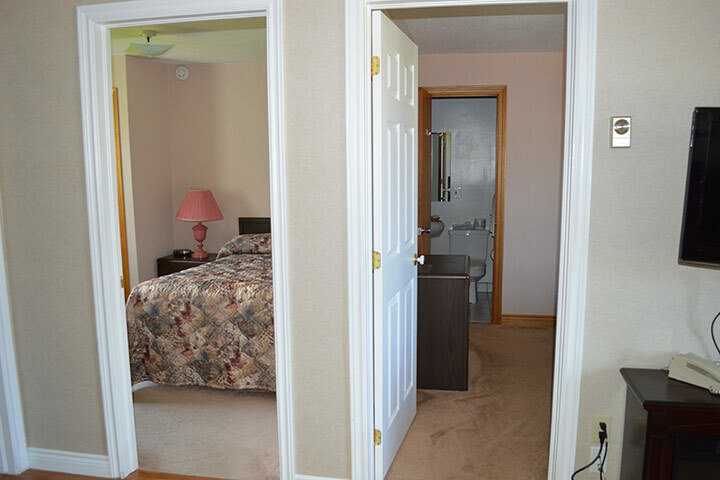 Air-conditioned. 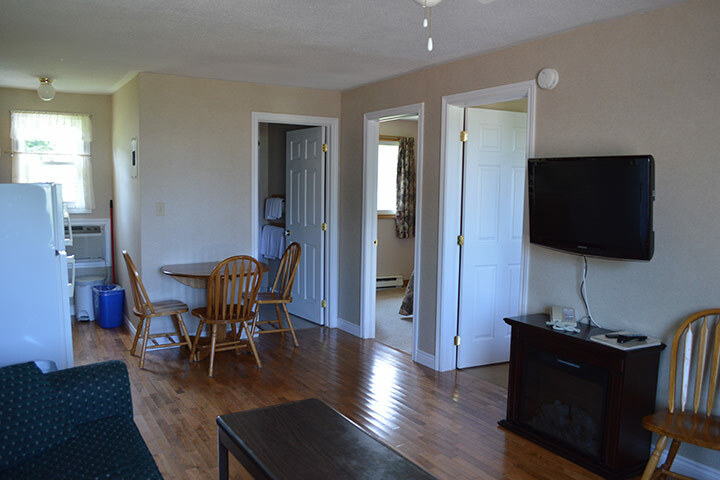 2 Bedroom Motel Apartment: Two bedroom apartments contain one double bed and one queen bed, one or two bathrooms, a living room with hide-a-bed, a fully equipped kitchen with dishwasher, and cable TV. 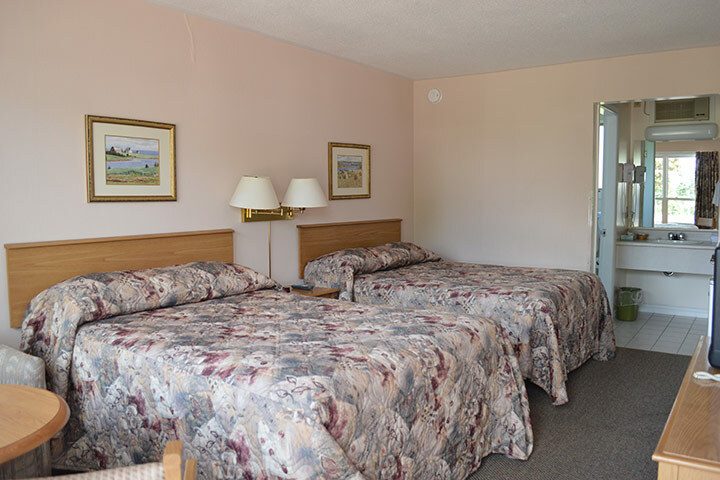 Air-conditioned. 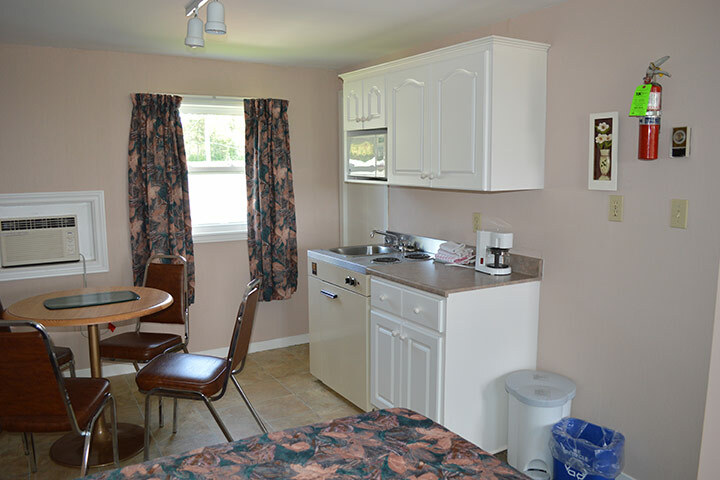 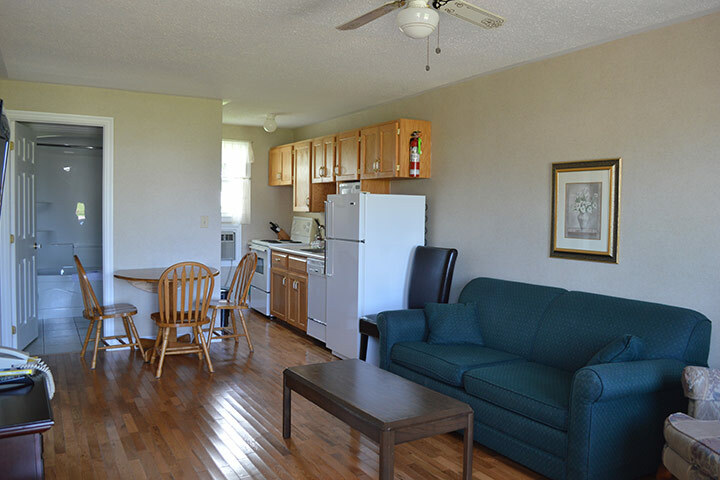 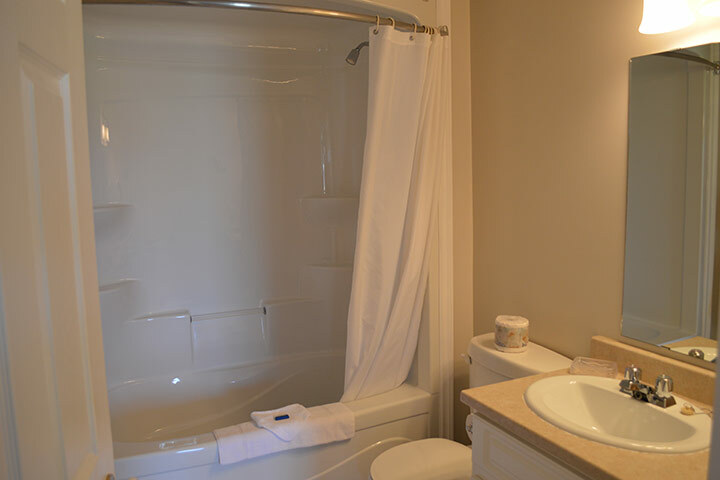 2 bedroom deluxe motel: Deluxe 2-bedroom apartment-style units feature one Queen bedroom and one double bedroom, living room, fully equipped kitchen with dishwasher, and four-piece bathroom. 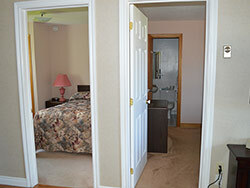 Air-conditioned. 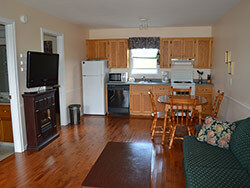 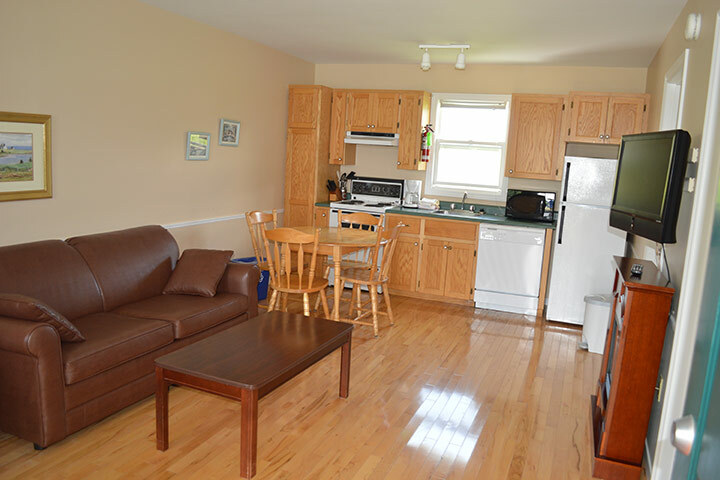 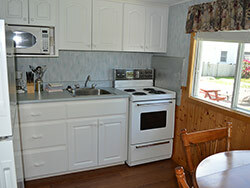 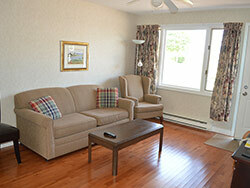 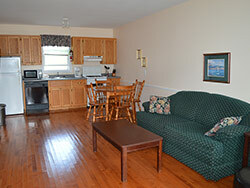 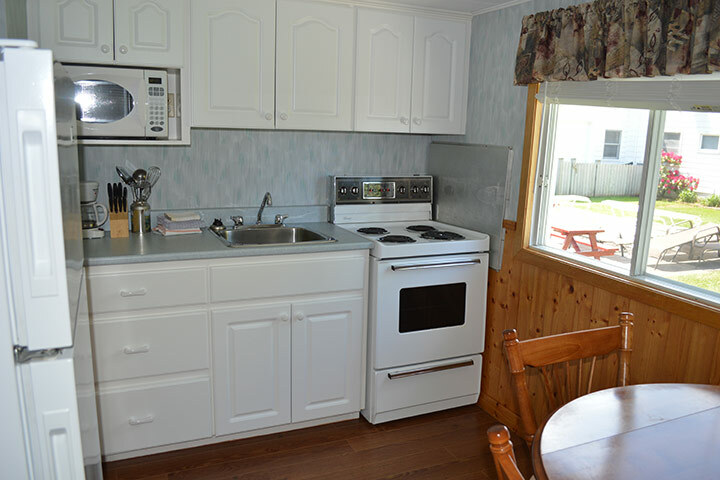 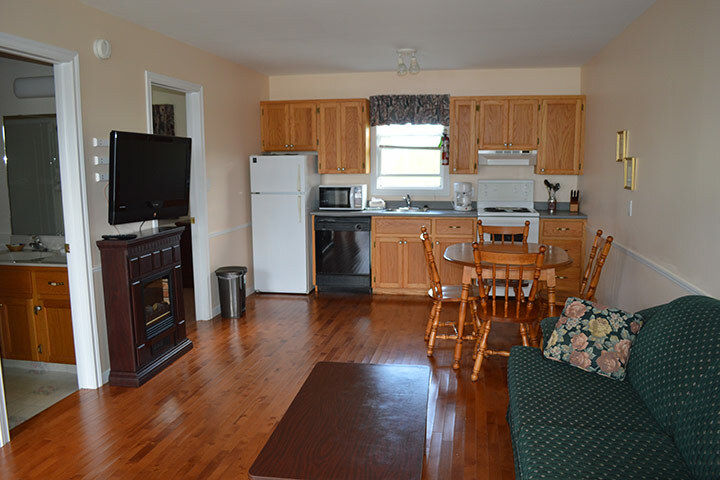 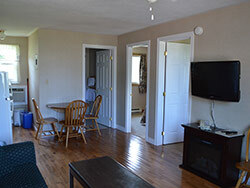 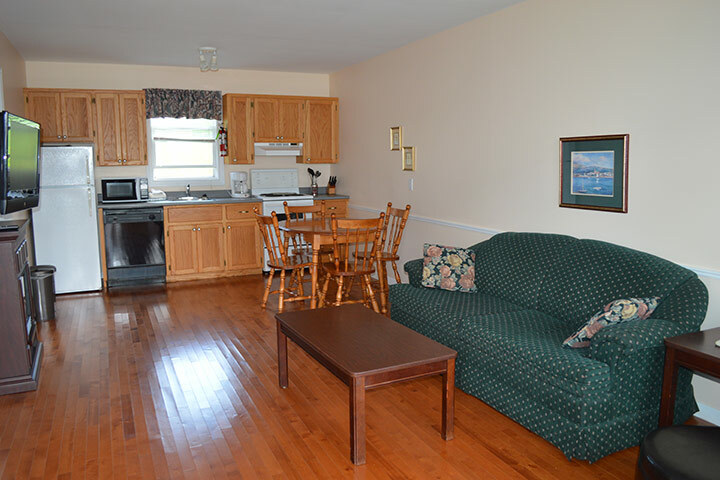 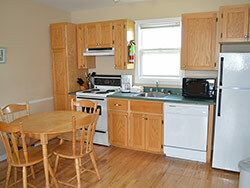 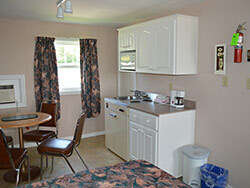 Kitchenettes: Units with 2 double beds equipped with kitchenette, 4 piece bath, cable TV. 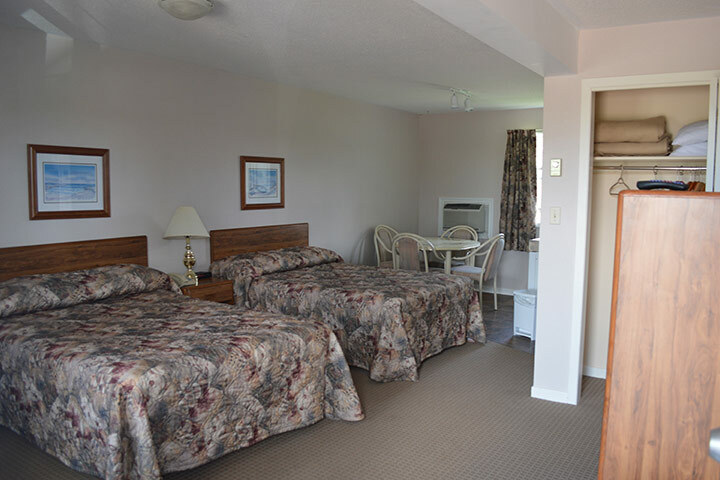 Air conditioned. 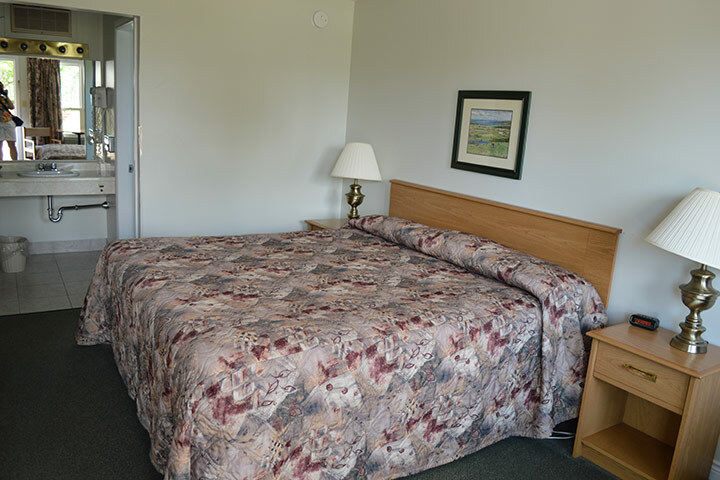 One unit has one queen bed in a separate bedroom. 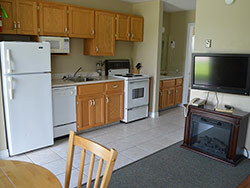 2 Double Beds: Units with 2 double beds, 4 piece bath, small refrigerator, and cable TV. 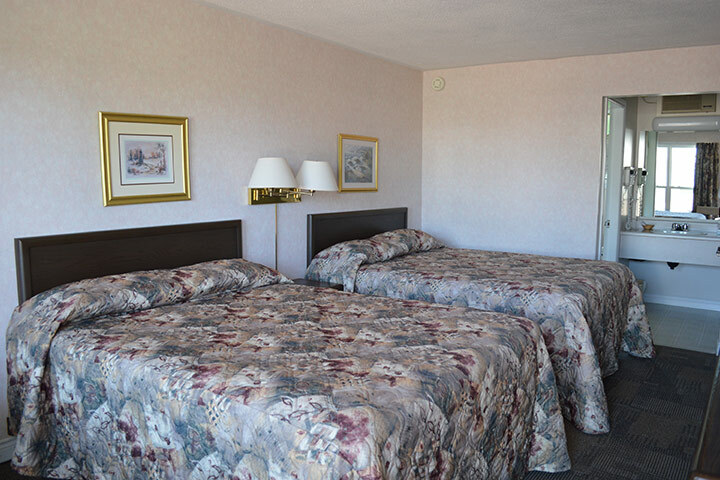 Air conditioned. 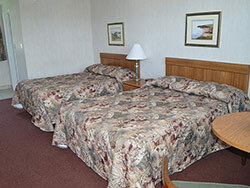 2 Queen Beds: Units with 2 queen sized beds, 4 piece bath, small refrigerator, and cable TV. 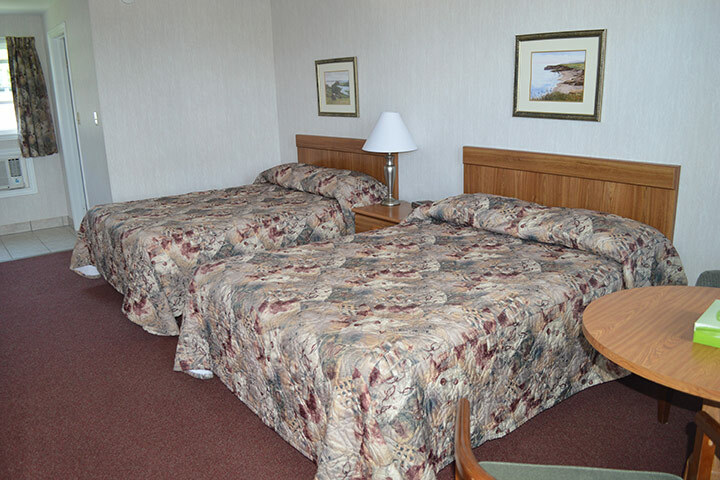 Air conditioned. 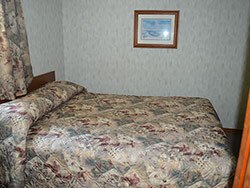 1 Queen Bed: Motel room with one queen size bed, cable T.V., 4 piece bathroom, small refrigerator. 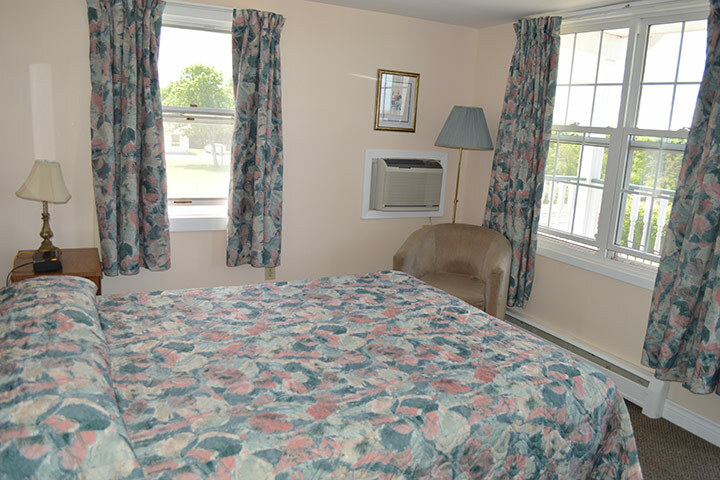 Air-conditioned. 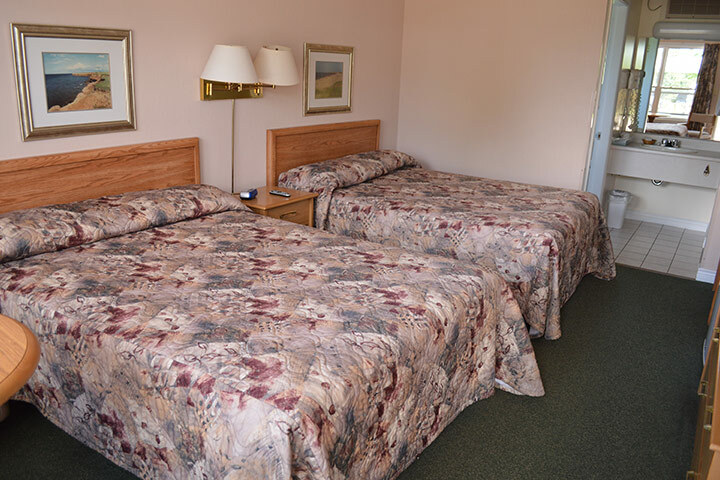 1 King Bed: Units with King sized bed, 4 piece bath, small refrigerator, and cable TV. 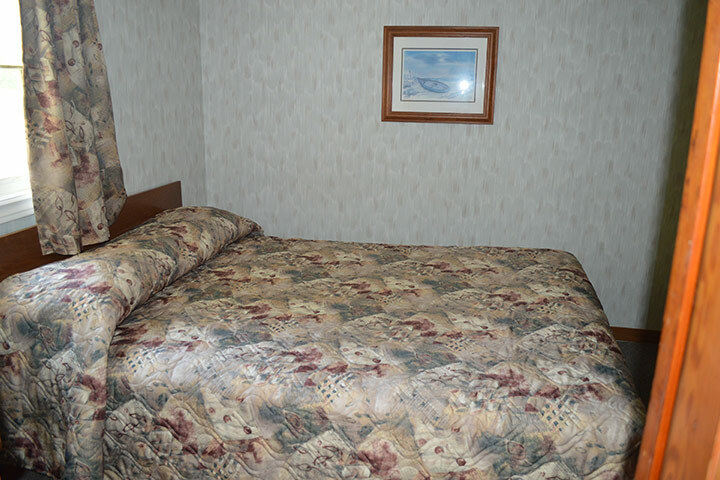 Air conditioned.